The Garden in the Woods is a magical place and was the perfect backdrop for Denny and Paige's whimsical wedding. Paige and Denny had so many fun and personal details to their wedding, including incorporating adorable DIY animal themed center pieces. "The Sneetches" as inspiration and for a really great vow holder (is that a thing? It is now!). 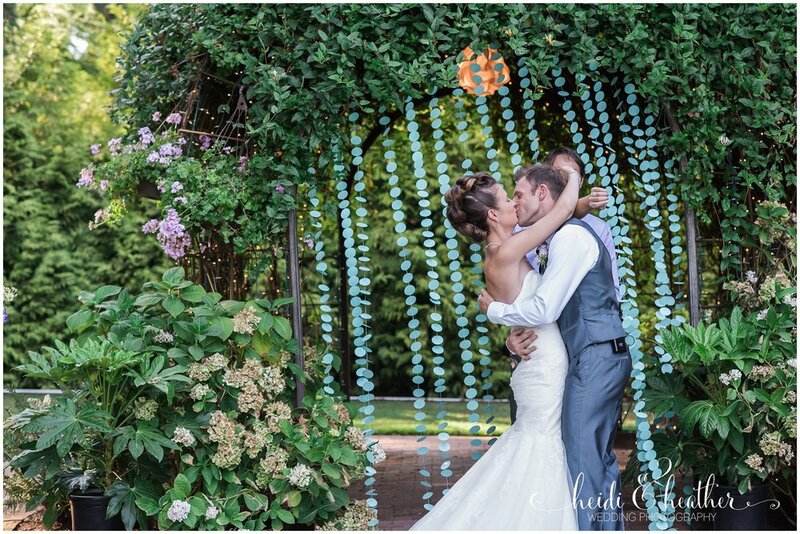 Check out the beautiful arch way where the ceremony took place! The groom let us know that they hand threaded the blue garland for hours and hours. It was worth it! We love the brides unique hair and stunning sense of style and the groom is looking dapper in his paisley tie!